Getting on camera and sharing your message with a wider audience can feel intimidating. It can also feel overwhelming with all the tools and tech you need just to get started! 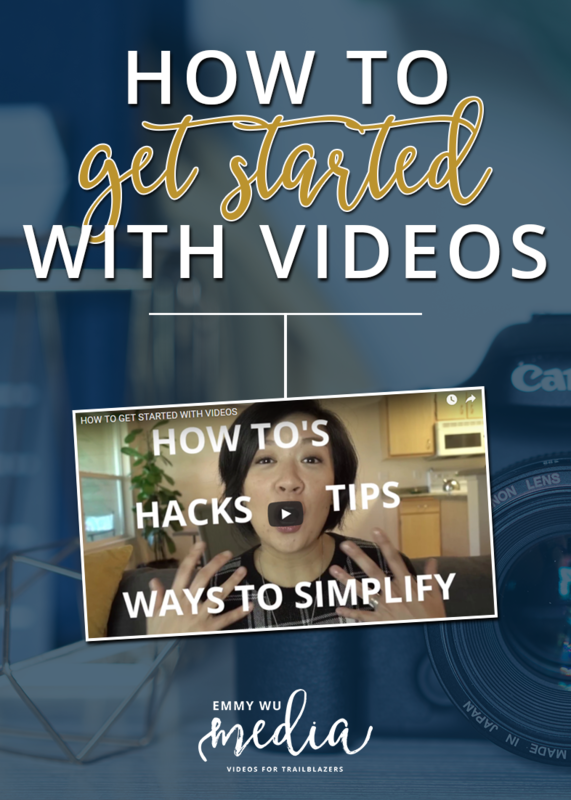 In this video, I share the key 4 tools you’ll need for pro looking videos and demystify what you need to start making videos. The important thing is to use a camera that you’re comfortable with. By starting with a point & shoot or your smartphone will help you to stick to making videos for the long haul. You’ll allow yourself to get comfortable with the workflow, without too many complexities. You can always upgrade later! Natural daylight is always the best, but if you can invest in a ring light, you can try one like this. Or, if you just need a little extra light, then a small smartphone clip-on ring light like this one, will do the trick. Just keep in mind that some ring lights are battery powered, and others are USB rechargeable. I much prefer the rechargeable model. Check out my vlog about DIYing your own lighting! You can check out my recommendations for audio recorders and mics, including the Zoom H1N that I mentioned on this page. You can also read my post about finding the right mic for your video shoot! A selfie stick won’t always work, and shaky footage is distracting and looks amateur. You can find really inexpensive tripods almost anywhere, and just having that stable footage will help your videos to look more clean and professional. Create content that you think your audience will be interested in with your own unique style: add your thoughts, your personality, your experiences, into what you’re sharing so the entire video experience feels like YOU. As you create and share more videos, you’ll also start to attract people who need your help. You’ll want to get intentional about getting to know your audience. Whether it’s online or offline, having a pulse on the questions and pain points your audience is experiencing, will not only help you easily create more content, but it will be highly valuable to those who need it. Just. Start. I can’t stress that enough. You already know enough, and you already ARE enough. Start with what you already know, and the more you get out there, the more you’ll get feedback on what to create next. Now get out there to start making videos!